There are 12 productivity tools which I use to speed up and enhance my business. I simply just can’t live without them on a daily basis. Take a look at the list of my favorite tools which really speed up my business and save a ton of time. Which ones do you use? Evernote is a cool piece of software designed for and archiving and collecting info. A simple note can be a piece of formatted text, webpages or part of a webpage (excerpt), you can add photo information, even a voice memo. All notes can use file attachments. You can sort into folders, then tag, annotate, edit, give comments, search and export all as part of a notebook. Evernote is a very tool for compiling projects and taking notes on projects on the move. It also syncs with your home PC’s, tablets and smart phones. Created by James Dyson who I met last year here in the UK (very nice guy) has released a very cool theme as an addition to WordPress. MFS is run on Optimize Press and works very well compared to the standard blog features, due to the built in members pages you can use. It works very well compared to standard themes and has some great functionality. Although I do miss the clean coding from Thesis, this is a good alternative. Not only can you use it as a premium theme for blogging, you can create some very cool squeeze pages for list building via the built in opt-in features OP2 provides. It doesn’t stop there with OP2 either, as it has the ability to create complete marketing product pages for any online products. You can create complete, secure pages and members areas to secure your online products and provide a safe place to buy and download your online products. OP2 is a very cool tool indeed and I wouldn’t be without it. It provides a ton of easy to implement features as well as simplicity to my business. Asana is a recent edition to my tools arsenal. It’s free to use and allows me to plan projects and to do lists. However it’s primarily used as a team planning tool which is shared between John Thornhill, Dave Nicholson and I for ongoing projects and tasks. Asana eliminates the need for email threads and allows for a more focused project with to do lists and job allocation to one another. It saves time and allows for faster project management and completion. This is well worth a look. It also has an app too, so you can manage on the move! My good old diary is still a big part of my planning. I like to write my weekly tasks (used to be daily) down at the beginning of the week, so I know what I have to complete, send and create during the coming week. It keeps me on the right path. I could use Evernote for this, but I find my diary a little more real if you know what I mean..
Much like Evernote and my diary, I often use notepad to remember spur of the moment ideas when I’m away from my PC. A quick brain dump and you’re done. I have kicked myself countless timies for not writing ideas down or typing them into my phone. Now I make it a habit of not trying to remember and just dump it instead! It works well for me. Quite possibly the best software product developed for the internet. WordPress revolutionized the way we provide information across the web. It has become the standard for blogging, product sales pages, members areas and squeeze pages to date. WordPress has so many functions and plugins, it can be introduced into almost any online business to fulfill a information providing roll. I won’t go on too much about it, as it has so much to offer, but if you don’t have it which is unlikely you can check it out HERE, I also show you how to install it HERE. If you like writing or write any kind of posts or info, I recommend a focus writer. AI writer is only available for MAC but it saves so much time when writing. The distraction free layout allows you to only focus on the page, rather than having a tool bar, popups etc to distract you. Focus writers save you a ton of time writing content. I use AI writer for creating sales copy, blog posts and email copy and it works great. Adobe Photoshop Elements is a great tool for manipulating and editing images. As a keen photographer, I use it for both blogging and for my photography hobbies. I see a lot of blogs with images all different shapes and sizes on their posts without consistencies. It’s a good idea to keep your blog consistent for each post. I don’t worry to much about load times as every image on my blog is hosted on Amazon S3 to help with load speed. If you do use or need a graphics package, I can recommend Adobe Elements for simple edits and photo manipulations. If you want to create your own graphics, then the full version could be needed which is very expensive indeed. I have mentioned this so many times when I talk about any business tools. Aweber is one of my most valuable tools for email collection and automated distribution. If you came here via one of my emails, then that would have been an automated email programmed in the day before, sometimes earlier. If you signed up for the free guide to the RIGHT, the eBook will be delivered via email by Aweber. Each and every followup email in the series will also be delivered via email to. It’s a marketing powerhouse and one which everyone in the information business should have. Check it out HERE. Not just iCal, but any digital calendar which hooks up to all your devices is an essential tool. Planning is essential, so you need to be aware of what is going on from day to day. Yes, your diary works, but your calendar reminds you with alerts. You can plan weeks and months ahead for meetings, product promotions and product launches. Calendars are a simple and great tool to use. Train yourself to use your calendar. Not quite a tool for business, but a big help when working. I listen to a lot of music, so my Sonos music system is the perfect addition when it comes to both working and relaxing. I have it linked to my home network drive, so I can listen to music anywhere in my house via wireless streaming. Great sound and great value! I’m a big fan of the smart phone, iPhone in particular. What I have on my Mac, I try to get on my iPhone to. Apps such as Paypal, CB Check (Clickbank), Evernote, Asana, WhatsApp, Notes, WordPress, Adobe Reader, iCal, Calculator, Social media, Fitness and even shopping apps all get used. We live in a fast world and the quicker I can get things done the better. Time sucking tasks are a big no no for me. If I can get the done faster, it’s a bonus! If you don’t have a smart phone get one! You won’t regret it. These are the tool I use in my business. They will most certainly differ from other peoples, but there will also be similarities. What I would like to know is – do you use the same tools, or do you use alternatives? Do you use any at all? First time i have visited your new look blog and I’m impressed by how clean and crisp it looks. Thanks for this great article i will surely be checking out some of these tools. Thanks Mark! Much appreciated buddy..
Great compilation of tools many of which are underused by the majority of marketers. As i often do lists for your posts, today you have complied a list, (some of my style is rubbing off on to you hey? lol). Also, I would say that many people who use these productivity tools don’t use them to their full potential. There are so many features in the tools you have provided, so the readers of this post should check all 12 out and also explore them fully. Using them will certainly help with their productivity towards their marketing. Great Matt, hope you are well. Looks like I took your advice with a list lol. Yes I rely on my diary a lot for tasks and jobs to do. I actually wrote a full product layout in my diary around the pool when I was on vacation this year! I use Google Drive a lot. I can start a document on my laptop and then add to it on my phone in those little moments of wasted time: waiting for a doctor/train/friend, or on my lunch break. I catch up on eBooks using the Kindle app on my phone as well in those moments. Although I have to agree with Matt Morgan, a to do list, on a piece of paper, sat on my desk, helps me focus no end! Damn I forgot about Google drive. 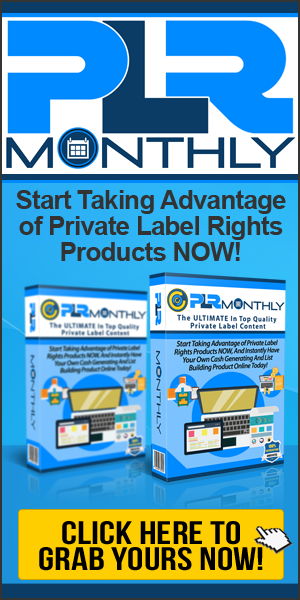 I have spreadsheets setup in drive which tracks all the PLR for my PLR biz. Ooops 🙂 Thanks for the nudge Matt. I also agree, there is nothing like a post it note or a big piece of paper with ‘do this’ written on. That’s a great list and I sure will check out some of the tools I haven’t used yet. For people who can’t afford Photoshop a good alternative is http://www.paint.net It’s free and as far as I know offers nearly as much as Photoshop. Thanks Gaby for the referral. Just as Stan pointed out, Gimp is also a good free tool for graphics. I use just 4 of the 12 you listed….Optimizepress, Notepad, WordPress and aWeber. I’m now using Socrates for my blog theme and I keep returning to aWeber after having a passing acquaintance with one or two other autoreponders. Some time ago I posted 20 Indispensable Online Marketing Tools and only one tool (Photoshop) is the same as yours. Your post has reminded me to get it updated. Thanks for the prod Dan. Hey Ian, Aweber or an alternative is a must. I could have added more tools I guess, but these are the ones I use daily. Adobe is a fine program for photo manips but GIMP can do it all and it is free. Thanks Stan. I could never really get a grip of Gimp but it is a good program. it looks like your list has everything what is needed to be more productive. On top of those listed I also like to use a voicerecorder app on my phone, as I often have some nice ideas while driving car. So I just can record what came to my mind and make sure to not forget about it until I am back in the office.